Dec. 7, 2018. 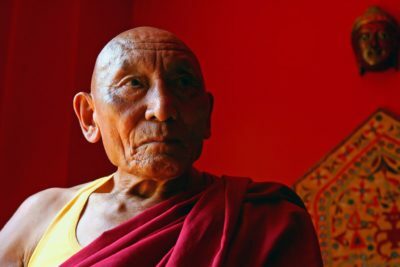 Palden Gyatso, a Tibetan Buddhist monk who defied Chinese control of his homeland, and who then fled to tell the world his story of more than three decades of hardship in Chinese prisons and labor camps, died on Nov. 30 in Dharamsala, India. He was 85. The cause was liver cancer, said a spokesman for Free Tibet, a nonprofit organization dedicated to Tibetan liberation. Mr. Gyatso’s soft voice became one of the strongest against Beijing’s continuing hold on his homeland after China occupied it in 1950, vanquished Tibet’s army in a matter of days and signed an agreement with Tibetan officials granting it control, beginning what many Tibetans consider a long and brutal occupation. The Chinese Communist Party has argued that Tibet has long been a culturally distinct part of China. But in the nearly seven decades since the occupation, China has kept a grip on Tibetan monasteries, even destroying some, and restricted aspects of Tibetan culture, like the Tibetan language and Buddhist religious practices. China has said that reports of human rights abuses and detention camps for political agitators there are unfounded. But Mr. Gyatso painted a different picture. He said he was first imprisoned in 1959, having been arrested in an uprising that ended after the Dalai Lama, Tibet’s spiritual and governmental leader, escaped to India. He remained incarcerated almost continuously until 1992, he said, enduring starvation, hard labor and torture. Inmates, especially political prisoners, often subsisted on one watery cup of barley soup a day, Mr. Gyatso said, adding that he survived by sucking the marrow from bones and chewing on the leather of his shoes.His captors made political prisoners pull plows as if they were “human yaks,” he said, and then beat them when they were too exhausted to work. He spent long periods shackled at the ankles and hanging by the arms from chains.Guards beat him with metal bars, whipped him and shocked him with cattle prods, he said. One guard jammed a cattle prod down his throat, shocking him unconscious and knocking out many teeth.All Mr. Gyatso had to do to end the torment, he said, was to agree with his captors that Tibet was historically a part of China, and that it should remain so. “Of course, I would never say that Tibet is not independent,” Mr. Gyatso said in an interview with Peace Magazine in 1998. The Chinese government released Mr. Gyatso in 1992 — in part, he said, because of pressure from groups like Amnesty International and protests by Tibetan exiles. Before he was released, he contacted a friend outside prison and asked him to bribe an officer for examples of the torture implements that had been used on him. He slipped out of Tibet for India that October, with the tools of torture hidden beneath his clothes. Mr. Gyatso shared that evidence and told his story at protests around the globe. In 1995, he spoke before the United Nations Human Rights Commission in Geneva and a human rights subcommittee of the House of Representatives in Washington. Two years later he published a vivid memoir, written with, and translated by, Tsering Shakya. The memoir inspired a documentary film about Mr. Gyatso, “Fire Under the Snow” (2008), directed by Makoto Sasa. Ngodup, as Mr. Gyatso was named at birth, was born in 1933 to a family that tended sheep and goats in the village of Panam, in southern Tibet. (Like many people born in rural Tibet at the time, he was not sure of his exact date of birth.) His father was the village headman, and his mother died when Mr. Gyatso was young. When he was 10 he became a monk at the centuries-old Gadong Monastery, where the rinpoche, or spiritual leader, named him Palden Gyatso, meaning “glorious ocean.” He completed his training at Drepung Monastery, on the outskirts of Lhasa, the Tibetan capital, when he was 18. Mr. Gyatso lived in exile in Dharamsala, which is also home to the Dalai Lama, and died in a hospital there. He was known to have siblings, but complete information about his survivors was not available. The Free Tibet spokesman said that the Chinese government had lifted some restrictions on Tibetan religious practices, but that monasteries were required to demonstrate allegiance to the People’s Republic of China. 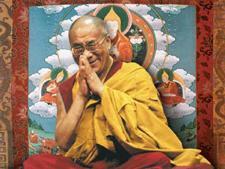 Monks can still be arrested for possessing photographs of the Dalai Lama. There has been a rash of self-immolation protests by Tibetan monks in the last decade, and criticism of Chinese human rights violations has spiked with reports of Beijing’s detention of hundreds of thousands ofUighur and other Muslim minorities in Xinjiang, a far western region of China. But autonomy for Tibet does not seem much more likely than it did when Mr. Gyatso was released in 1992. His long incarceration was broken up by brief periods of freedom, after he either escaped or was released. In one instance, in the early 1980s, Mr. Gyatso was caught with a Tibetan flag, writings by the Dalai Lama and materials to make posters proclaiming a free Tibet. He was soon back in prison.